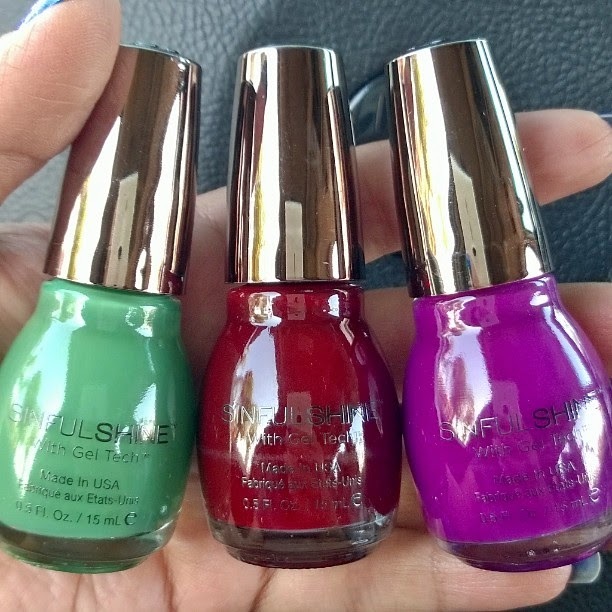 Sinful Shine is one of those brands I always skip while shopping at the drugstore. Why? I think it has to do with the packaging, I am a sucker for a cute bottle and I don't really find any of the Sinful brands to be anything cute to look at. Of course I have always noticed just HOW MANY colors they have, and how they constantly launch new collections, but I didn't really get caught up in it until I saw the holiday display. These colors where just too pretty to pass up and the they look even better since they have a metal colored top versus the really cheap black one they usually have. I got three to start me off and today I want to share Go Glossy the purple/raspberry shade. 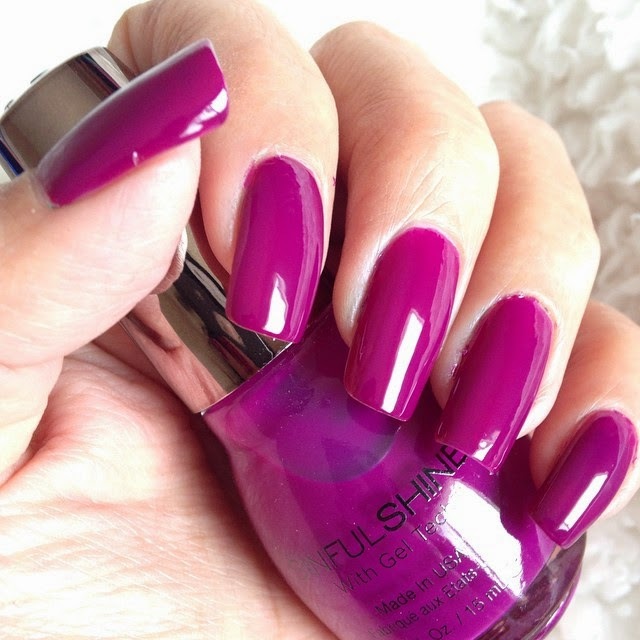 I love this color and really love that it's not purple but more of a raspberry/plum shade. I have tried all three shades and all are super pigmented and it's just a great formula overall. I wore the darker shade last week (Mirror Mirror) and it stayed on 7 days with no chips at all. I am definitely going to be getting a lot more polishes from this brand. I say this love affair has just begun!